From the hottest best-sellers to non-fiction, romance, textbooks, children's books, cook books and more, ONESHOP.co.za allows you to compare prices before you buy books from a range of trusted retailers. Find your favourite authors; learn something new, travel the world from the comfort of home or stock up on classic literature through ONESHOP.co.za, your convenient online book store that offers the best way to buy books online. In the early age's people already felt the need to write down stories, experiences and historical moments on whatever they could find. They wrote on wax tablets, bamboo, cave walls, silk, papyrus and eventually paper with the first book printed in 868 CE. 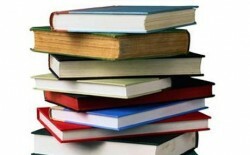 Books have been around for centuries but unfortunately were not available to everyone. Only the rich, monks and scholars of those times could afford books or were allowed to read. Back in those days' books where copied by hand making them rare and expensive but with the invention of the printing press, books became more affordable and widely available. In today's technologically advanced times books are easily available and come in many shapes, forms and sizes. You can read a book online, buy eBooks, audio books, borrow a book from the library, buy books online or walk into one of the many book shops available in malls. With these small rectangular collections of paper we can be transported into different worlds, be comforted, excited, challenged and learn. Books not only open magical worlds for us to escape into but also improve our vocabulary, teach us about different cultures, places, ourselves and so much more, all we have to do is pick up a book and start reading. It is so simple to find the books you enjoy on OneShop with book reviews available, discussing the plots and writing style of authors, you are sure to find a good read. With OneShop's ratings you can also easily see which are the best selling books, search for your favourite authors or book title, compare prices of the top online books stores and have the book delivered to your door or directly to your Kindle or eReading device. See the world through a different perspective with a philosophical or autobiography book, learn about love in romance novels, explore different culinary cultures with cooking books and solve mysteries with suspense thriller books. There are so many different book styles available that it is easy for anyone and everyone to find a book that will satisfy their reading needs.